Starting on June 27th, the New York Times is allowing non-subscribers access to as many as three stories a day accross any section on the paper's mobile app . Currently, non-subscribers are limited to the Top News section. Videos remain free to view on the New York Times app although only subscribers will have access to more than three stories a day. 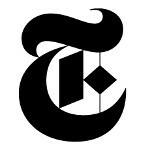 The New York Times app for iOS, Android, Windows Phone 7.5 and higher, BlackBerry 10 and Flipboard are involved in the publisher's decision to meter free usage. In addition, those who download the latest version of the New York Times mobile app for Android and iOS will be allowed free access to all sections of the newspaper's app for 7 days. The Times also has slashed the price of its three monthly all-access plans for smartphones, tablets and both smartphones and tablets to 99 cents for the first 4 weeks. The regular monthly prices are $15, $20 and $35 respectively. Music to my northeast intellectual left-leaning snob ears!